CaribbeanDays can book your stay so you can go to Hollywood Studios! 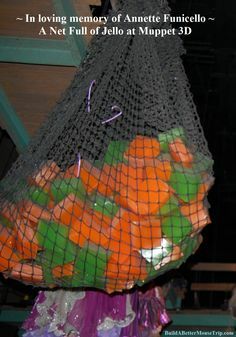 At Hollywood Studios, in the Muppet 3D room of Muppet Vision, there is a display hanging from the ceiling of “a net, full of Jell-O”. This is a play on words to symbolize Annette Funicello! BTW, this was actually the Beach Boys debute!